Alyssum Alchemy is a brilliant Australian brand which encompasses the most organically raw elements of all spiritual practice. 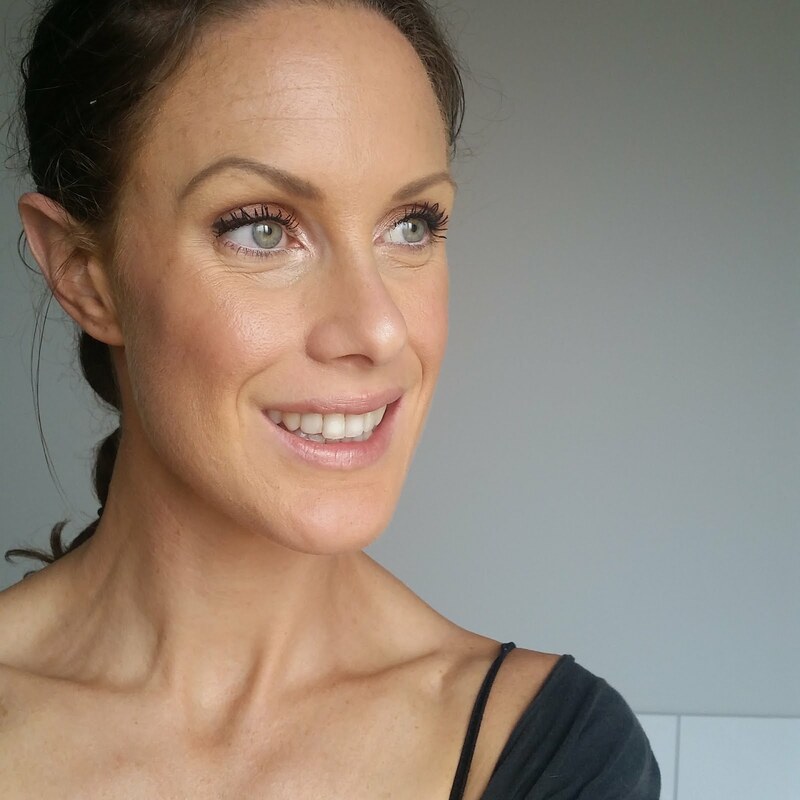 This is collated and that love is placed into one of the most gorgeous skin and body care ranges I have ever experienced. There is a huge emphasis on increasing the vibrational elements of your skincare routine utilising tools such as infusion with crystals, blessings with Reiki and under the Full Moon as well high quality natural and organic ingredients. It is sacred on every level and the skincare can be used as a daily practice or for specific rituals and anointing - doesn't that make it sound so incredibly special!! A little bit about Alyssum Alchemy. 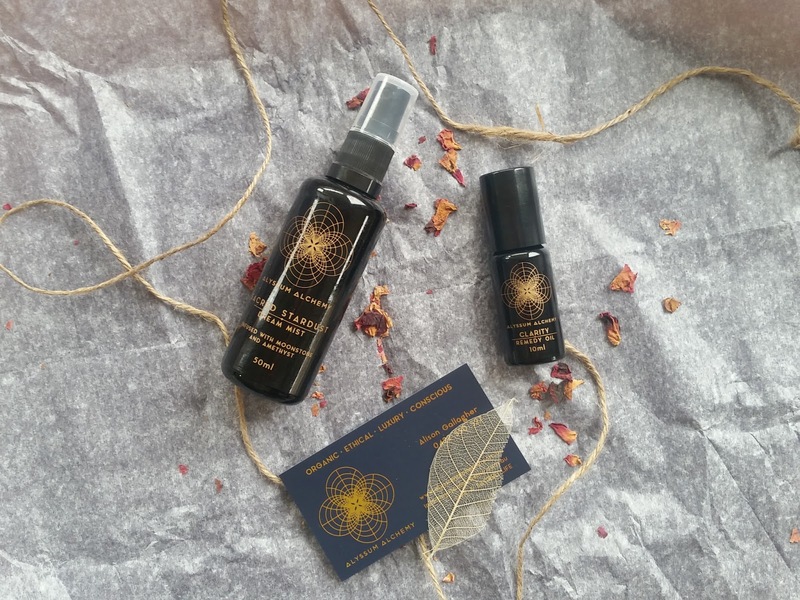 All of the included ingredients are of the highest quality and most ethically sourced available, including Australian wild crafted botanicals and are personally infused by the beautiful and experienced Alison. 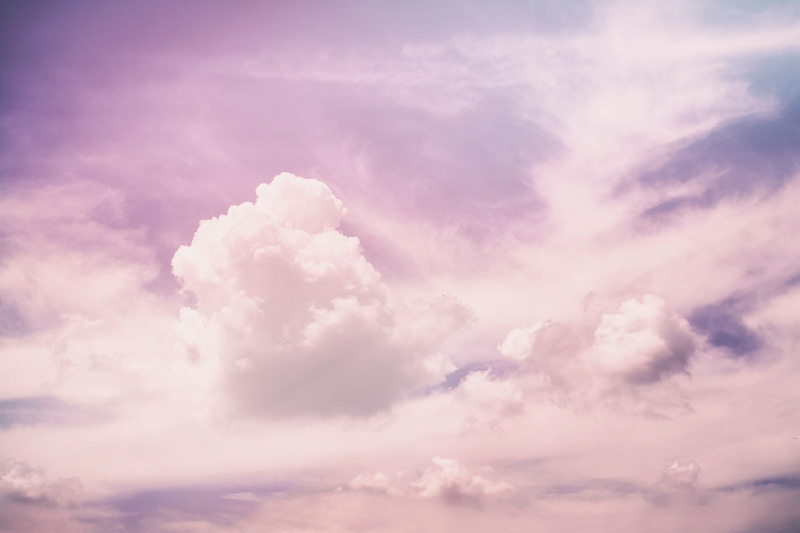 The intention of Alyssum Alchemy is to offer a ritual or practice with every use to encourage the indulgence of being present, of enriching your inner sacred space and setting your intentions each day with a burst of energetic support and inner love. Empower yourself with these bottles of sacred and energetically enlivening elixirs. They are truly worth it. Below are my reviews on my personal Alyssum Alchemy collection....all of which I completely love. 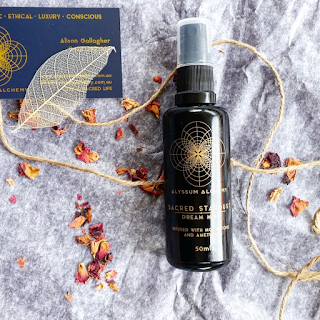 SACRED STARDUST DREAM MIST - this dream mist is an atmospheric mist which can be used on the body, as a room enhancer or on your linen. It includes the beauty of calming elements such as chamomile, mandarin, vetiver and lavender aimed to de stress the mind and body while calming the soul and ensure a restful experience. It is infused with moonstone and amethyst on the dark moon and blessed with reiki to encourage that sacred experience. This incredibly sensual and relaxing mist is infused with the beauty of gem and flower essences such as Chicago peace rose, Arctic cotton grass, dandelion, pink flannel flower, chalice well, jet, aquamarine, sandstone and clear quartz. I find this blend absolutely amazing in the evening to wind down and also for the kids to ensure they can calm before bed, as somehow the energy scale goes through the roof post dinner!!! I highly recommend this for anyone in a high stress job, needing assistance with winding down at the end of a day or throughout the day when feeling repressed by stressful situations or for any meditative practice. CLARITY REMEDY OIL - I use this DAILY without fail. This little versatile and compact roll on essence is designed to uplift, motivate, inspire and increase focus while boosting vitality. I am a ball of emotions and exhausted ones at that this pregnancy so this remedy is exactly what is needed each and every day. This booster aids in concentration and motivation through the use of organic rosemary, lemon, peppermint and lemon myrtle. Australian sandalwood, lavender and Fragonia keep you balanced by evoking calm and targeting anxiety. This beauty is infused with carnelian and sodalite on a new moon and is also blessed with reiki. Your vitality is enhanced with the use of gem and flower essences including bergamot, comfrey, red dahlia, platesace, iris, calendula, pink flannel flower, Chicago peace rose, jet, black tourmaline, Amber and clear quartz. This essence is everything, it fulfils all of its claims and more and I truly cannot recommend this bottle of amazingness more!!! ROSE RADIANCE FACE MIST - well I am a lover of face mists and my criteria are strict....good and even spritz, (no squirts), aromatic scent, enough mist to invigorate and enliven a dull face without drenching and a good hydration factor. 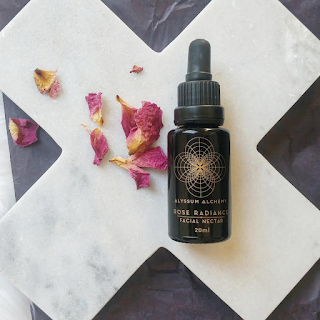 The Rose Radiance Face Mist is incredible! 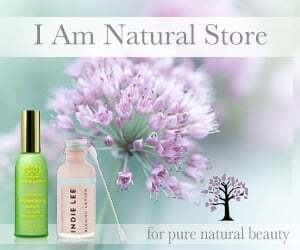 It is like misting yourself in silk with the softest of sprays and the most gentle and calming after effect. It ticks every box for me. 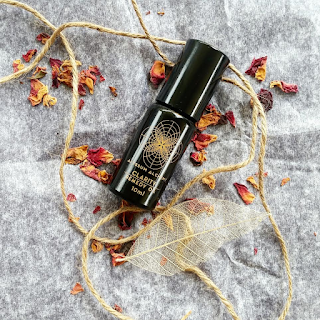 It is lightweight, gentle, smells absolutely incredible and is highly hydrating while creating an all round sacred experience for me. It is like love in a bottle. I am completely taken by this beauty. The rose essence is crafted from organic Damascan rose petals with extracts of Kakadu Plum and Olive Leaf to soothe the skin. This gorgeous blend helps to replenish the quality of your skin with the use of Rose and Australian sandalwood oils all infused into rose water to calm and hydrate. It is infused with Rose Quartz in a full moon and blessed with reiki. The gem and flower essences used to enhance this soulful bottle of love are designed to help open the heart and evoke unconditional self love, these include red rose, Chicago peace rose, briar Rose, crabapple, pink flannel flower, white rhododendron, crystal Rose Quartz, rhodochrosite and gold. ROSE RADIANCE FACIAL NECTAR - can we just take a moment to appreciate and indulge in the word nectar.....NECTAR, isn't it decadent! I just love it! Ok back to reality, this NECTARRRR is divine on every level. It holds a consistency that feel substantial enough to possible go searching within the liquid gold for some actual sacred gold. It is one of the most loving facial serums I have ever used, leaving your skin intensely hydrated, loved and oozing a glow that makes you want to stare at yourself! This beautiful nectar is designed to restore and replenish the skin via organically enriched oils with antioxidants, essential fatty acids and vitamins. 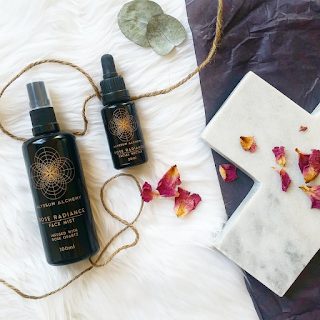 These sacred oils include organic plant extracts of argon, jojoba, macadamia, rose hip, sea buckthorn, pomegranate, Rose otto, Australian sandalwood and neroli.....incredible right! All the goodies in one bottle. This oil is rich in spirit and soul and can be utilised for anointing or ritual practices or simply used daily. It is designed to aid in emotional support with its infusion of Rose Quartz on a full moon and blessed with reiki. It's amazing qualities are encouraged by the use of gem and flower essences including red rose, Chicago peace rose, briar Rose, crabapple, pink flannel flower, white rhododendron, crystal Rose Quartz, clear Quartz, rhodochrosite and gold. It is a perfect adjunct to the Rose Radiance Mist and also works really well for a dewy glow when blended with either a powder foundation or any cream foundation. Price Point: $$ given the nature, nuture and extensive input into all of these products I definitely feel each and every price is worthy. An experience that will be remembered. I would definitely recommend Alyssum Alchemy for anyone who has a huge appreciation for incredible quality skincare and the practices of sacred self care rituals. This brand encompasses all that is spiritual and soulful when it comes to self love and indulging in the most basic practices daily.